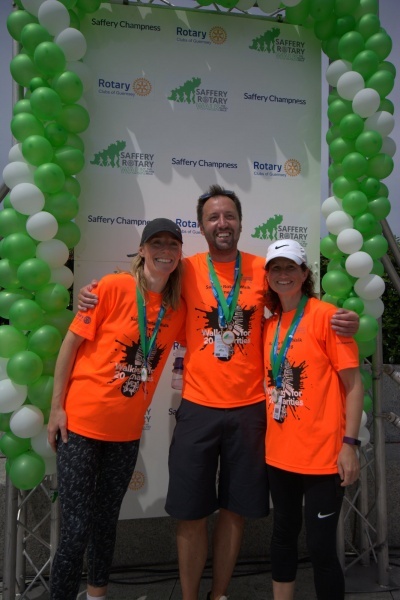 The Saffery Rotary Walk 2019 is organised by the Rotary Club of Guernsey and Rotary Guernesiais jointly to raise funds for local island projects. Last year we raised £52,000! Preparation has begun for the Saffery Rotary 2019 walk. This is a fantastic sponsored 39 mile walk around our beautiful island of Guernsey on Saturday June 15th 2019. You can sign up for the whole walk, part of the walk or why not organise a relay? Register at www.SafferyRotaryWalk.com where you will also find tips and advice on training... (don't underestimate those beautiful cliff steps take a toll on the knees!). If you have any questions not answered on the site you can email info@safferyrotarywalk.com. Sign up to our facebook page for up to the minute notifications.